We are happy to announce that ALP Forward is presently being re-activated. She is re-activated from warm lay-up in Bremerhafen and will be fully operational in July 2019. ALP Forward will take back her place in the active ALP fleet after being completely serviced, overhauled and tested in the coming months. "I'm seafarer myself and that's your place of work," Mr Cross said. "Those who are employed on the same vessel long term, through the course of the year you nearly spend more time on board than what you do in your own home with your family. "So it's not just a workplace, it's a home. That's how seamen fell when they're on these jobs so it will be an emotional day for them." Mr Cross said the ship was one of the last Australian-crewed vessels working in Australian waters. "This vessel was going to remain on the coast, there was trade for the Iron Chieftain," he said. "The Iron Chieftain has been a warhorse on this coast for more than 20 years now." On Monday, June 18, the Iron Chieftain was docked alongside the BlueScope steelworks, unloading dolomite - an ingredient in steel making. In the early hours, a fire started on a conveyor belt before spreading to a 12,000 cubic metre pile of dolomite. It would take firefighters almost a week to fully extinguish the blaze and the damage would leave owner CSL Shipping with no other option than to retire the ship. The original plan was to tow the ship to China to be broken up into scrap. However, last year Chinese authorities banned the importation of vessels for ship breaking. That led CSL to look elsewhere, and the Iron Chieftain will now be taken to a ship recycling facility in Turkey. A statement from CSL said it would be carried out in accordance with its policy, "which mandates that disposal must be carried out in a manner that does not pose any risks to human health, safety or the environment". ALP has launched her new website. With an up-dated design and improved usability the new ALP website is ready for the Future and better supports the way that ALP wants to position herself in the market. Promoting high- quality, cost-effective services. Advancing the standard in Marine Transport & Offshore Support operations. The IMC Weekendschool aims to provide children between 10-14 years old with a platform to learn about what the World has to offer in terms of companies and jobs. Usually these kids are from lesser developed backgrounds/areas such as Rotterdam South. The kids can voluntarily join and go on excursions on Sunday. They go to all sorts of organisations, such as ALP but also a Law firm, a dredging company, the Port of Rotterdam, a Nail studio and a Library. The background of these kids usually does not prepare them too well for the working future and by organising these excursions IMC aims to let them discover all opportunities that are ‘out there’. It was a successful day with a lot of enthusiastic children, that learned about what ALP does exactly and what is happening in our office and on board. We organised a presentation and 3 workshops that dealt with some parts of what our business is about. ALP started providing drones to all her vessels throughout 2018. 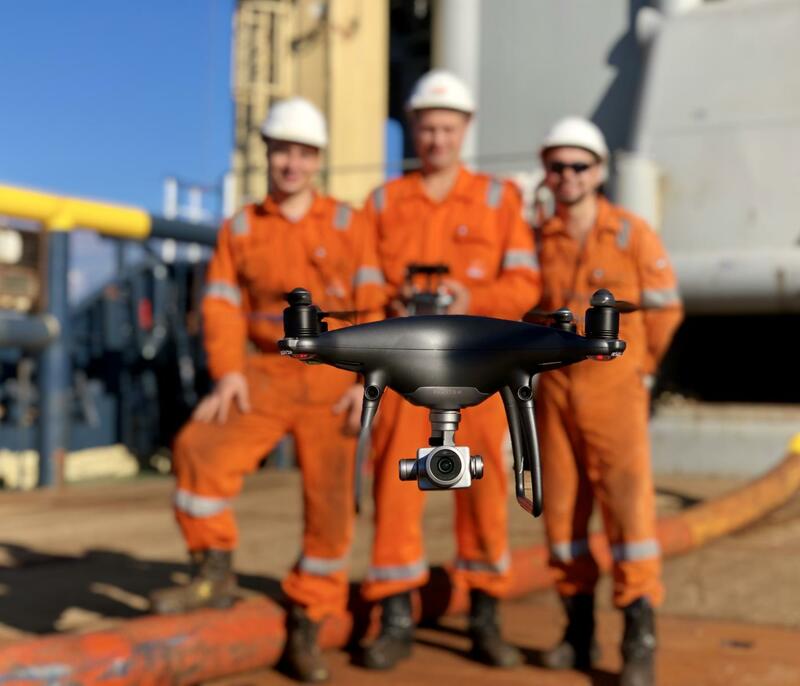 Drones are put on board each vessel and crews are trained by a professional specialist drone-operator. Providing the guys on board with the knowledge that is requirred to safely operate the drones and get the most out of these helpful tools. Theory as well as practical training is provided and assistance is available from ashore when needed. Scotland’s Kishorn Port has landed a contract under which it will host a visit by world’s largest semi-submersible offshore drilling rig, the Ocean GreatWhite. The Ocean GreatWhite has made its way from Singapore, via Las Palmas in the Canaries over the last five months assisted by the Alp Defender, a large ocean-going offshore supply vessel weighing in at 5600t. 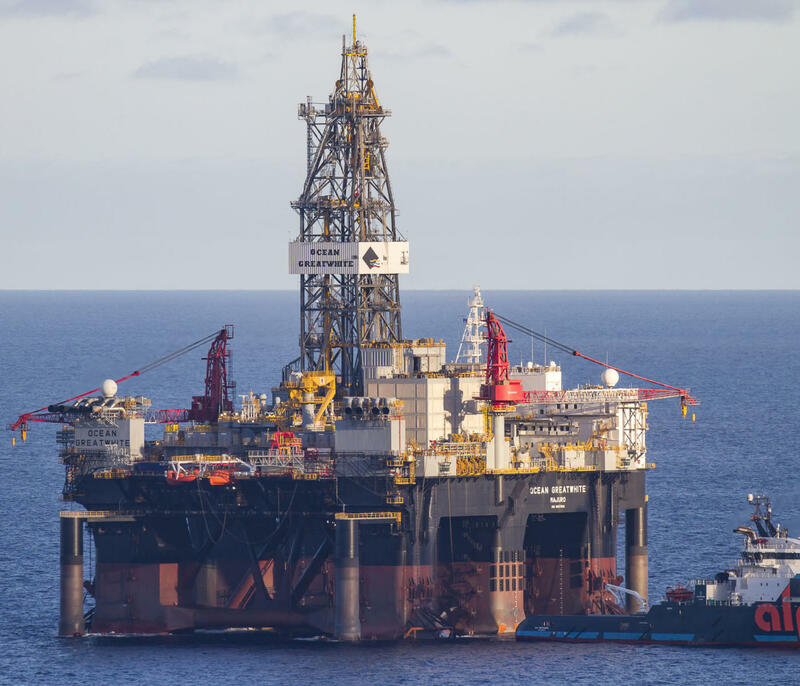 The rig is destined to start a drilling contract in the North Sea early in 2019. 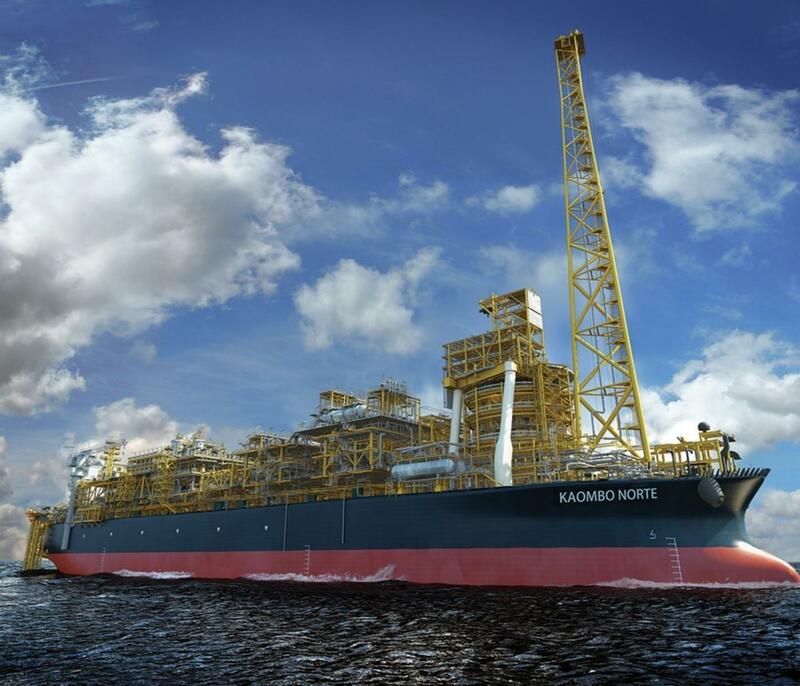 Earlier this year, ALP announced that they had been selected by INTEROIL/SAIPEM to provide five vessels to perform tow assistance and heading control services for the KAOMBO Norte FPSO project. ALP’s project services include tow-assist operations from South East Asia to West Africa, by two of ALP’s 300ts Bollard Pull ALP Future Class vessels. 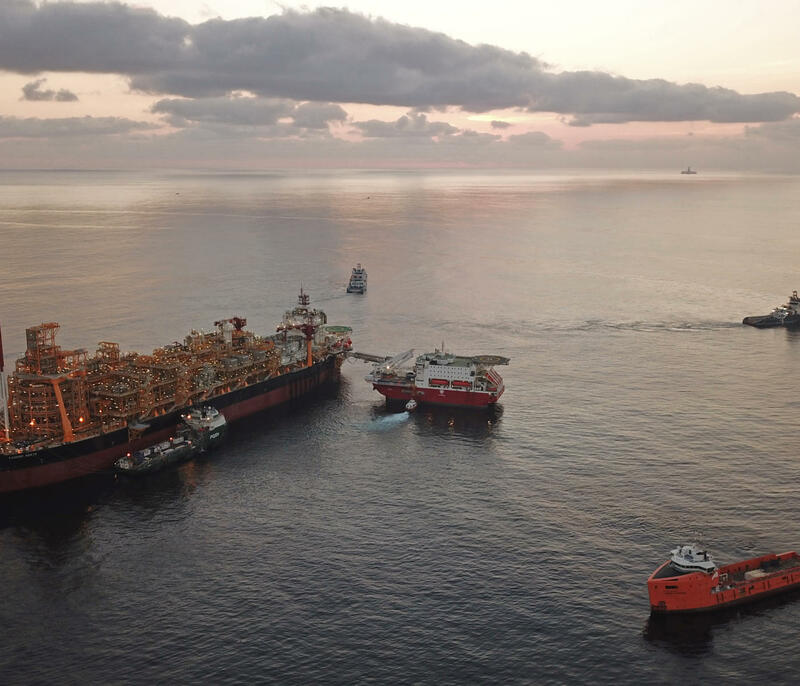 On arrival in Angola, the Future Class vessels will be joined by three additional vessels from the ALP fleet, which are required to keep the heavy FPSO Kaombo Norte accurately stationed during connection to its mooring lines. On completion of the mooring operation, two of the vessels will continue to support the riser pull-in operation. 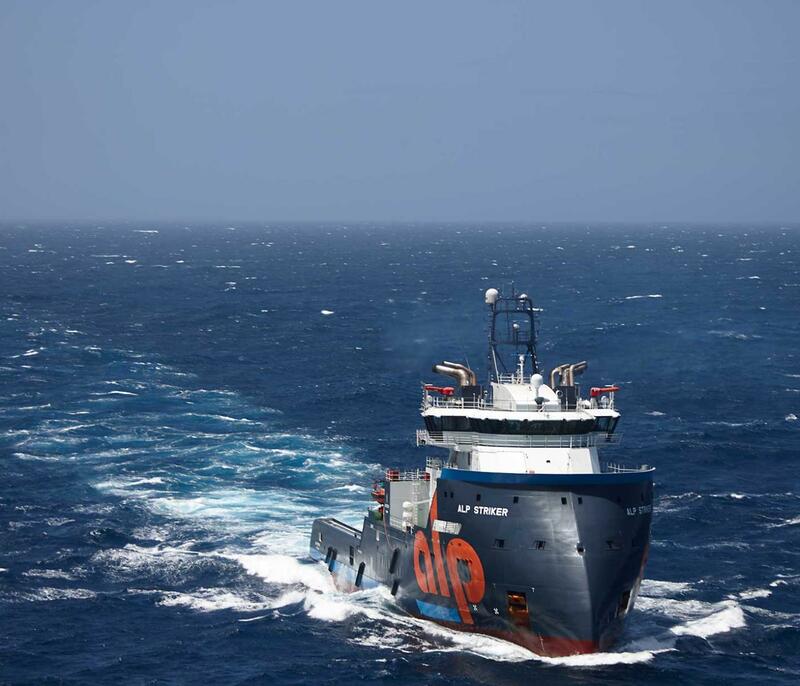 ROTTERDAM, Netherlands, Feb. 21, 2018 (NEWSWIRE) — ALP Maritime Services (ALP) has announced that the company has been selected by INTEROIL/SAIPEM to provide a spread of five vessels to perform tow assistance and heading control services for the KAOMBO project. ‘ALP is very proud to have been selected for this Tow assist and pull-in operation. It is a strong proof of confidence in our modern and versatile fleet and our ability to provide safe and cost-efficient services to our customers. ALP is the specialist in the field of Ocean Towing, Offshore positioning and mooring of floating platforms, Heavy Transport, and Salvage operations. ALP has a fleet of ten vessels at its disposal, ranging from 192 to 309 tonnes bollard pull. Friday 02/02/2018 at 16:16 LT the signatures were placed under the purchase of ALP KEEPER in Okayama, Japan. She is since then officially part of the ALP fleet! After signing ALP Keeper left the yard, showing off her manoeuvrability to all people on the quay side, sailing to Pohang for further outfitting. The ALP Fleet is designed for world-wide long distance towage of the largest floating objects, with the ability to offer additional services such as salvage, anchor handling, (long term) positioning/ heading control and mooring/survey works.